A major high street convenience store group approached Action Handling and requested the design for a bespoke shelf trolley which will serve as multi-functional equipment around the store. Given the variation of sizes, textures and quantities of goods which needed to be transported, a standard model was not suitable and a bespoke solution was manufactured. Action Handling was engaged by a leading high street retailer to design and manufacture a set of bespoke nesting basket trolleys. Due to the unique shape and size of items which needed to be moved through the store, a standard model was not suitable. Having met with store managers, fully confirming their requirements with head office, Action Handling then designed a solution. 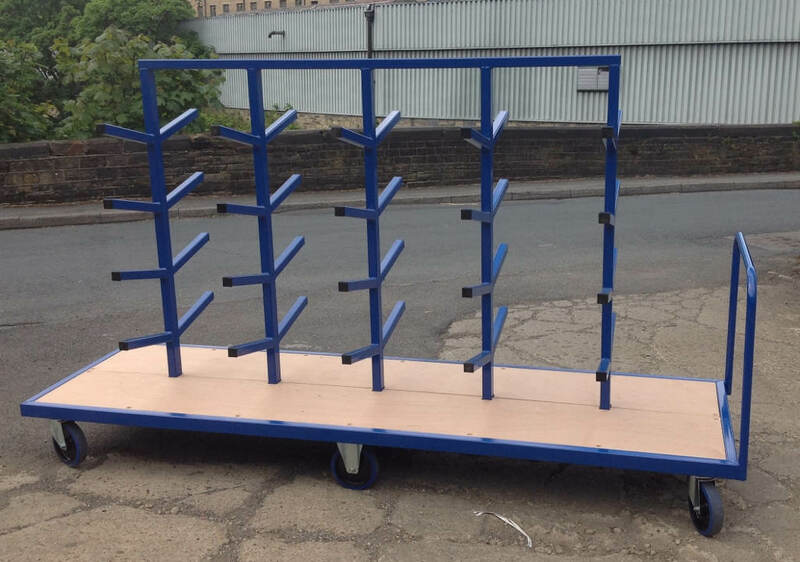 Action Handling Equipment Ltd was engaged by a leading construction group to design and manufacture a bespoke materials/goods cage for use on-site at Kings Cross Railway Station, London. When a leading car roof box manufacturer had a health and safety issue onsite, concerning the loading and unloading of vehicles at its warehouse in Suffolk, they contacted Action Handling Equipment Ltd to visit the site and advise of a solution to resolve the issues. Historically, motorcycles have been delivered in disposable wooden crates or on wooden pallets. Although it is a standard process throughout the industry, it is time consuming and generally unsafe. 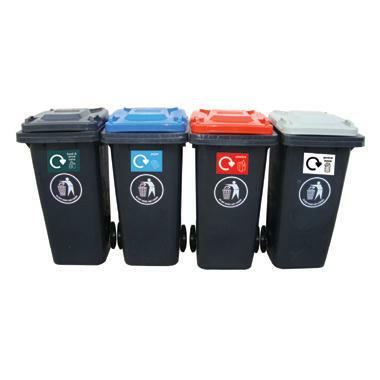 Also, the cost of disposing the packaging must be borne by the customer and it generally prohibits more than one unit being transported per pallet. The Air Cadets had a health and safety problem that was causing issues with damage to aircraft wings and difficulty in boarding aircraft and then also leaving the cockpit. A customer contacted us requiring a new piece of equipment to assist on site with loading a new large steel press roller on site. The company was manufacturing plastic film packaging for the food industry and needed a piece of equipment to lift up a large steel roller at the start of the process. The steel roller was to be lifted 870mm from the floor and would need changing several times per shift. Following some issues regarding safe and secure transport of goods on-site, the procurement initiative of a British car manufacturer sat down with key members of its engineering team to discuss the best course of action. Shortly after this, Action Handling were engaged for their expertise regarding handling equipment. Damaged for good? Need a new one?! Think again. Our engineers can work wonders with damaged goods. It may be a cheaper option than replacing the whole unit. It's rare, although can happen, that goods are damaged beyond repair. If that is the case, we're sure to have the best price for you in purchasing a new updated unit. The research done at the Culham Centre for Fusion Energy is rightly recognised as world class and it has driven UK leadership in fusion R&D for many years. We were thrilled to help manufacture an industrial trailer with box body and towing eye recently for the management team at UKAEA. Gravity roller conveyor is often referred to as gravity conveyor, roller conveyor or just plain old conveyor. Conveyor in its most basic form is made up of an outer framework and a series of rollers fitted within that frame over which goods can be rolled from point A to B. When you need a bespoke product it is hard to know where to begin, Firstly is it going to be expensive, also who can you trust to understand your needs and criteria? What if it goes wrong and the project starts to unravel and cost spiral out of control? Well breathe and relax, Action Handling have a wealth of knowledge and expertise to help ease the worries and stresses that brings. And to make things easier, we're ahead of schedule. That's right! The catalogue should be well and truly planted on your desks by now. This time last year we still had catalogue pages flying through the air prior to print, however this year we have changed things to provide that end of yearly budget spend before the Easter break. Whether in the home or at the office, storage space is always at a premium. Even in this digital age, a mountain of paperwork can still develop very quickly, much of which you’ll want to keep and some, such as company accounts you must keep by law. How long you retain your books and records for, varies depending on exactly what they are and what type of business you run. The man hours lost in your warehouse can seriously jeopardise the effectiveness of your business as a whole. The man hours lost in your warehouse can seriously jeopardise the effectiveness of your business as a whole. A goods inwards delay can prevent the timely manufacture or assembly of finished products and similarly delays in the picking and despatch of those products will mean that your customers will not receive goods on time. What can be a generally accepted first class product can be completely let down by poor warehouse planning. Littering is a growing problem and cigarette butts a major contributor - we need to provide bins and help stamp it out. Few things look more unsightly around your workplace than discarded cigarette butts, yet it’s estimated that 79% of all public places in the UK are blighted by them. Since the smoking ban which prohibits smoking inside any public space came into force in 2007, littering is a problem which seems to have escalated. Our NEW annual catalogue is nearly here and it's had yet another makeover! With a new page design, new products, great prices and a cover that will make you smile. Are we barking mad?! Maybe, but that's why you love us :) We're loyal and trustworthy just like our mystery helper. Like any business, customers should be the main priority. Well, it is for us anyway! Winter can be a testing time for any business. Freezing temperatures, high winds, snow and ice can all conspire to make things a little more difficult than they might otherwise be. Obviously, the weather in the UK is somewhat fickle, making it very hard to predict what may or may not happen next month, next week or even tomorrow, which means forethought and preparation are key in keeping things running smoothly. Please take note of our Christmas and New Year shut down period. We would like to take this opportunity to thank you all for your valued custom throughout 2016. We hope you have a very Merry Christmas and a Happy New Year. Plan ahead for Christmas delivery, don't be disappointed! Don't get caught out and miss the seasonal deadline for deliveries. We're letting you know our deadlines in plenty of time, to help you plan and stay ahead of the seasonal delivery mayhem. Can you over-protect your goods in transit? Stretch film and why you need it! There is nothing more annoying for your customers than deliveries arriving damaged. Every consignment that they have to return costs them both time and money, which means that ultimately, their damaged deliveries will damage your business. Our website may be brand spanking new however our 45 plus years of product knowledge and expertise is still very much here ready and waiting to help our customers. We're sorry we've kept the secret from you but we were making sure everything was perfect for the launch. Go and check it out. In accordance with HSE HS (9) all lifting equipment supplied must have a minimum of one service per annum. We are pleased to offer you our superb service facility. We operate three levels of service for hand pallet trucks (gold, silver and bronze service levels) plus annual service contracts for hydraulic scissor lift tables, stackers and electric stackers. • Service by a fully qualified service engineer. • Minor repairs and adjustments. • Full nationwide coverage of UK mainland. On my travels around the country visiting industrial estates and business parks (I know living the dream!) one thing has started to stand out, the increase of cycle racks and bicycle shelters outside offices, factories and production plants. I guess with parking at an all-time premium and a strive for a healthier life-style and bosses being more open to funding for such items these days I suppose it makes sense that as a nation we look at alternatives to the car and public transport. 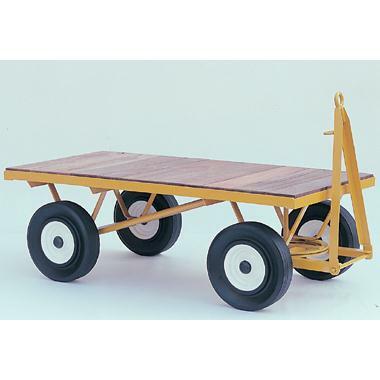 There are many types of hand truck or trolley available to the industrial sector today and many of them have names that we have all heard of before…..flatbed truck, rough terrain truck, platform truck, hand trailer, warehouse truck etc. Sometimes they seem to be referred to as trucks and sometimes as trolleys. What`s the difference? To be honest I`m not quite sure anybody really knows! Certainly Wikipedia seems to struggle with that. A shutdown is a scheduled closure within a company so that improvements can be made to carry out work on premises & facilities for an extended period of time. During this time, work schedules may have to be modified, special equipment may have to be rented and contractors may have to be hired to fill additional labour requirements and special operations. While this work is carried out workers may be required to take annual leave. Almost one tonne per household which is pretty much a Nissan micra each per home, that’s without taking into account large events which we attend and produce a mountain of waste such as sporting events, pop concerts and industry waste, no wonder the wheelie bin is very much an everyday essential especially as our household waste increases by 3% per year, so on that ratio our waste at home in 17 years will be two Nissan micra's. They lift and move pallets of goods around from point to point and are generally used in warehouses, factories and goods inwards departments. Some models are often used to move un-palletised goods like machine parts, boxes, drums and cartons but then they would normally need to be fitted with a fork platform or lifting attachment to suit the load. Quality tapes, so less waste! 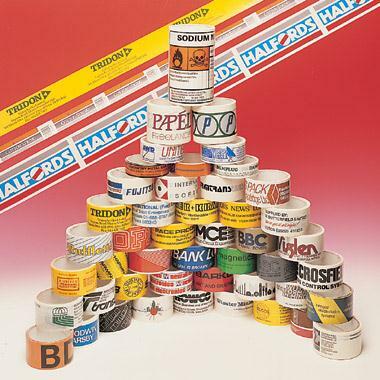 When I mention adhesive tapes, straight away you are probably thinking sellotape! The fun you had in your childhood making space stations or princess castles out of mum’s old Rice Crispies cereal boxes, Fairy washing up liquid bottles and empty toilet paper rolls. Sticking them all together with an endless amount of tape to create what you see in your mind as a pure masterpiece. You would feel that you had constructed something far greater than the pyramids. THIS BRAND NEW WEBSITE IS DEDICATED SOLELY TO SAFETY STEPS, LADDERS & ACCESS EQUIPMENT. EVERYTHING YOU NEED AT THE TOUCH OF YOUR FINGERTIPS. Maintain it, repair it or send it to the skip? My TV repair man came around the other week to fix a problem with my 10 year old flat screen LED. I was somewhat surprised when to my joy the problem was fixed and it only cost me £78. I was expecting the usual ‘Oh sorry mate, that model must be at least 2 years old and you might as well throw it away and buy another one’. One product that does three jobs! With such an array of hand trucks and trolleys flooding the industrial market place it can sometimes be totally baffling to know which sack truck or trolley to select for your workplace or indeed even home use. The choice seems endless from folding foot, fixed toe plate, mesh infill back, curved back the list of different variations of the product are vast and that’s before we even get into the realms of handles and wheeling, So to find a sack truck that can perform a host of applications there may well be a very savvy choice. Cylinders are generally awkward to handle, move, position and then place in storage. By their very design they do not lend themselves to being exactly user friendly. However, companies would be well advised to consider the general implications that the use of cylinders have within the work place. The first issue is to establish and recognise what type of gases the cylinders are actually containing. Identification and recording of the results should be a part of your risk assessment within workplace safety procedures. Categories: PREVIOUS BESPOKE PROJECTSWhy choose bespoke? If you are looking for safety steps for the workplace then you have come to the right place. Safety Steps Supplier is a subsidiary of Action Handling Equipment Ltd, specialists in material handling equipment. On our main website we have over 11,000 products, but we know that when you are searching for Safety Steps, Stepladders and Access Towers, you want experts in that area. We have 103 varieties of folding step ladders alone. Within our company we have experienced people who can answer your questions without a hidden agenda. We genuinely feel responsible for your safety, and therefore have created this specialist safety steps supplier website with that in mind. Please contact us if you have any questions about any of our products. Why use a bendy conveyor? There are many trade names covering this product but at the end of the day it is a conveyor that can be bent around corners or obstacles, it is flexible throughout its length, it can expand in length to suit an application plus you have the option of having the conveyor fitted with either rollers or skatewheels. Sound confusing….well it is not really, it`s just a matter of choices that best suit a situation. Who will win you or the birds? So who is smarter, you or the birds? That is a question that commercial building owners are often left scratching their heads over. Early Spring is the time when you should not only think about but indeed put into action your preventative measures to help dissuade birds from roosting or nesting on and around your buildings. Many facility management companies are finding that key storage on industrial sites is becoming a major security issue. Whether it be manufacturing plants, construction sites, office blocks or even for the more public of places like schools, sporting venues, community halls, shopping centres, hospitals and hotels……..key security must be taken as a strategically planned and risk assessed procedure. Appropriate key and padlock storage systems are used to ensure you never lose keys again and also to enable managers access to control keys on site by the use of key security cabinets. An index system within the units supplied will mean that any site manager or authorised personnel will be able to collect the correct keys every time as they are numbered and colour matched for fast identification. Since we first started trading back in 1970, we at Action Handling Equipment Ltd have been asked to manufacture a wide range of equipment with numerous different names. So when one of the UK’s leading Timber Merchants contacted us recently enquiring about Timber Trailers we responded with “what type are you looking for?". The response came back as “just the normal standard type”. That's right! Our NEW ANNUAL CATALOGUE is on the horizon and it's had a huge makeover! 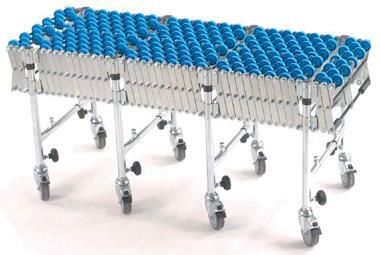 Action Handling has a comprehensive range of order picking step trolleys to ensure that your increase in warehouse or distribution hub productivity is supported. Our order picking trolleys are made to order therefore are available in any standard RAL colour and we can also accommodate you in supplying goods in your own company colours or if various departments have a colour scheme in place to distinguish form each department, we can of course supply order picking steps for you in a variety of colours to keep everything in its place for you, just please state this at time of quotation request or when we visit your site to allow for any additional cost for special paint finishes. It's that time of the year when keen or even not so keen gardeners turn their attentions to the planting of garden plants. A very good friend of mine and knowledgeable gardener tells me that Begonias need a damn good regular drowning and that sweet peas need lots of loving care and attention. Bulbs like Gladioli can be planted at this time of year but one should ensure that the deciduous trees in the locality have to be well 'into leaf' to offer their protection to the soil. Now quite how he knows all these things are a complete mystery to me seeing as he seems to spend all his time in the bookies or the pub!! But what I do know, is that he knows his garden plants ... and I don't! From its humble beginnings in the mid nineteen twenties the Wholesale Warehouse more latterly known as the Cash & Carry, although the first street appearance of the term is widely accredited to Lawrence Batley who didn't open Batley's Cash and Carry in Huddersfield until 1958. At Action Handling we don't just advise you to buy nice new shiny equipment. If we see a 'vintage' piece of equipment worth fixing, we can, and will fix it. Just because it's old, it doesn't mean you cant use it. Not everyone is in a situation where they can splurge out on brand new equipment and we respect that. We offer a whole range of servicing on material handling goods. So why not give us a call and get some life back into your equipment. Having to move heavy goods and products is a part of most handling industries, whether in factories or distribution companies. However, not all heavy lifting is created alike – depending on the business and goods to be moved, lifting equipment specific to the task at hand is crucial to completing the task. Time For Action. Next month to be exact. Luckily you still have time, and there's no time like the present. Order any items you need now for making it a smooth and hassle free Christmas period. Check out some of our essential winter must haves. When we refer to trucks in the materials handling industry, we are referring to a wheeled platform used to convey loads in a warehouse or factory setting. Sometimes these trucks can be motorised, and they come in many shapes and sizes, depending on their end use. Action Handling has supplied trucks to industries across the UK for over forty years, and we have a large range of different types available. Every company needs storage. Whatever you do, whatever you sell, you will require storage of some sort in order to keep your business structured and efficient. While there is a huge choice of storage options out there, with a little bit of knowledge it’s easy to choose the best solution for your needs. Any business considering the purchase of a storage cupboard should ask themselves several questions before making their decision. While this may seem obvious, a little consideration before purchase means you’ll get the correct equipment for the job at hand. In today’s hospitality, catering and foodservice industries, serving top quality produce is essential. As such, proper refrigeration of goods is a vital part of a successful business. Purchasing food products (or any type of product) in bulk is a great way to save money, but only if you have the facilities to store those goods until it’s time to sell. In addition, the fast pace of food preparation means that food must be accessible when needed. Most importantly, your goods need to be kept cool – maintaining food safety, freshness and flavour. A walk-in cooler or freezer gives you safe cold storage and accessibility, making it the ideal solution. To our regular customers, it’s no secret that Action Handling will always go the extra mile. We never pass up an opportunity to satisfy your requirements and relish every challenge that comes with it. One of our biggest customers, a leading Information Management Company, was concerned about their standard on-site operating procedure for retrieving document storage boxes. The boxes were stored on shelving which cannot be reached from floor level and the existing method, using aircraft style safety steps, was creating significant manual handling difficulties, making it unsuitable for the application. Our NuKeeper product range offers an extensive choice of cleaning equipment, opening up a multitude of possibilities within the professional cleaning sector. Much of the product range is unique, with key patented features designed to blend today’s technology with our own brand of quality-based common-sense engineering. When a top ranking UK University required an electric platform trolley to assist the maintenance department in transporting tools and materials on-site, they contacted Action Handling. Initially, the client identified a standard model from our catalogue as one they were keen to discuss, outlining a few necessary modifications. For the past forty years, Action Handling have supplied trucks and trolleys in a huge range of designs, sizes and capabilities to clients across the UK, so you could say we’re pretty familiar with them. We understand that, for the average user, your requirements may just be for “a standard sack truck”. However, when we further analyse the everyday use of the machine, it allows us to supply the most suitable equipment for your specific needs. If you are wondering which sack truck, what sack truck or are just looking for a description of sack trucks this buyer's guide will help. Action Handling can supply bespoke trucks and trolleys to your specifications – choose the finish, the size, the handling capacity, and we will make it happen. Each of our bespoke trucks and trolleys feature a powder-coated finish (unless you specify otherwise), which radically increases the product life in the most demanding environments. We offer seven standard colours (white, blue, yellow, red, orange, green or grey) – however, if you have a RAL code for your corporate colours then we can match these so that your trolley (or fleet of trolleys!) reflects your corporate image. .
High-street retailers generally offer a wide range of quantities and sizes of goods, which can lead to storage issues. Coping with ever-changing stock and seasonal variations can turn a carefully designed stockroom into a difficult to use and highly inefficient area. When looking at buying any shelving system it’s a good idea to think ahead of your present specification. In our forty years experience supplying the materials handling industry, we’ve found that customer requirements can change within a very short space of time. that sort of winter – rather an onslaught of snow and ice and freezing rain coming down from the north. It’s a different kind of magic that winter brings, one that makes pavements and car parks such dangerous places, turning vehicles into weapons and unwitting pedestrians into ice dancers. Who remembers our newsletter last year?! Our managing director, sales director and sales manager all dressed up in pink bras and tutu's last year to raise awareness and help raise money for this amazing charity. When a high-profile London based investment bank needed to store a vast amount of company records at one of their sites, they contacted Action Handling with a request to assess their requirements and provide a solution. We sent one of our experienced sales representatives to visit the premises where they measured the allocated room, formulated a shelving design layout to best utilise the space and offered a quotation accordingly. The shelving system selected was the Connect 2 system, which offers both a very quick installation and lead-time from the manufacturing process. In addition, the fact that the system could be easily reconfigured to suit the space was another deciding factor. T wo competent people show the correct assembly of the Connect2 shelving system. When you introduce a shelving or racking system into a warehouse, you’ll require other associated material handling equipment, a fact that is often overlooked when making the decision to implement these systems. We strongly urge customers to contact us prior to purchase, in order to discuss the complete package of equipment that may be needed. Even taking into account that either a stacker or a fork-lift truck will be required, these items require a level of operator training and a comprehensive maintenance program to support the on-going efficient use of the machine. We’ve written previously about the importance of secure tool storage on- and off-site, and Action Handling supply a wide range of secure storage options. However, when you need tools to hand, having them locked away in a box or vault isn’t the best option, and neither is having them scattered around your workshop or factory – an easy way for items to become damaged or displaced. We’re pretty keen on our double-sided standing panel, which we think offers an easy-to-install and access solution to your tool storage needs. Available in four heights and two finishes, the unit comes complete with an accessory kit and optional base tray. Your warehouse health and safety checklist is important to maintain because it ensures a solid framework within which staff should operate. When staff spend several hours a day working in pallet racking areas it’s extremely important to manage health & safety in order to avoid serious accidents. The only way in which an employer can make their premises less prone to accidents is through a comprehensive assessment and production of a safety program, and every business should have a health and safety checklist to help identify any risks in the work environment and how best to reduce them. We all know that it doesn’t take much for an organised and tidy stockroom to quickly become a mess. When things get busy, it’s sometimes easier to cut corners and go back later – however, leaving stock, empty cardboard boxes, packaging and numerous other items lying around can seriously impact on the efficiency and safety of your storage area. If this is happening on a regular basis, perhaps it’s time to assess your current storage requirements and make any necessary changes to improve your business. Online shopping is a growing trend in the materials handling industry, with the number of consumers opting to shop online increasing year by year. Previously, a retailer would purchase goods or products in bulk from manufacturers or importers, either directly or through a wholesaler, and then resell them on in smaller quantities to the end user via a shop or store. Many of us can remember the famous scene from ‘I Love Lucy’, where Lucy and Ethel was working at the Acme Candy factory, wrapping chocolates on a conveyer belt. The belt speeds up and the candies arrive more and more quickly, leading to hilarity (wonderfully conveyed by the expressive Lucille Ball). It’s a scene that has been re-used and parodied and paid homaged to many times since, and is considered one of the most famous episodes of I Love Lucy ever. Adjustable shelving systems, such as our galvanised boltless shelving, offer supreme flexibility when customising your storage space to your requirements. The flexibility of an adjustable system lies in the variable positions for each shelf in relation to the vertical uprights. Whether you need to display or store products, when you use an adjustable shelving system the items can be allocated to shelves with the appropriate height adjustment. For example, small, lightweight items can be stored or displayed together on a shelf with a lower height in relation to the others in the system – this not only appears more pleasing to the eye but is also a more efficient use of the space within the shelving system. One of the more popular shelving ranges at Action Handling is our Expo 4 range. Like many of our shelving units, it’s suitable for a variety of different work environments and has a number of additional accessories available. Here’s our illustrated guide to assembling your Expo 4 shelves - enjoy! At Action Handling, we’re always looking at ways to improve our product range and deliver the best possible options to our customers. Our hygienic shelving was already a popular range, but now, after further improvements to the design, it’s an even better option for your business. Planning. It’s a huge part of running every business, whether large or small. Meetings are devoted to it, whole reams of paper used up documenting it, and a vast amount of energy dispensed to implement it. In a digital age, when messages, diaries and schedules can be accessed and managed at the touch of a screen, it may seem a touch old-fashioned to use a simple wall-mounted planning system. And yet, there are benefits to such a system that you won’t get from the latest phone or tablet. How do I store this…? At Action Handling, we tend to get a lot of enquiries from customers about storage for unusual shaped products and equipment. After all, the materials handling industry deals with a vast range of supplies and products across a whole range of industries, so a one-size-fits-all approach is not the best option when it comes to storage. It’s easy to browse and purchase shelving or racking that conforms to a fixed storage area but not so easy to find something suitable when your product is a little different from the norm. Steel is fantastic stuff. An iron alloy, it’s strong, doesn’t chip, bend, or crack easily (though it does scratch), and it stays shiny over years of use. But there’s just one problem: it rusts. Enter stainless steel, a metal alloy with about 10-11% chromium. When exposed to air, the chromium in the metal forms a film of chromium oxide over the surface. This film is passive and non-toxic, and most importantly, it prevents the steel from rusting by shielding it from air and moisture. Even if the metal gets scratched, the chromium oxide reforms seamlessly. This combination provides all the excellent properties of steel without the worry of rust.